A common media portrayal/ stereotype is that gamers are obsessed with the graphics of their games and systems. There’s an element of truth to this, but usually with good reason. Often that media portrayal may just be because graphical improvements are the easiest way to demonstrate that one game/system is newer or more advanced than another, and also the most obvious difference to explain when talking about consoles to a non-gamer. I don’t normally put too much attention on a game’s graphics- as long as they aren’t incredibly bad or otherwise distracting, I won’t think too much about them. However, one way to instantly get me interested in a game is to tell me it’s cel-shaded. Cel-shading is a relatively recent animation technique that renders 3D objects in a 2D way. A cel-shaded work usually has flat textures and colours, with sharp separation between light and dark areas, such as in a cartoon or comic book. It’s also known as “toon shading”, due to this cartoon-like appearance. However, the term cel-shading refers to a lighting system rather than just the graphical style: a game with the visual appearance of a comic but lit and shaded in a realistic way would not be called cel-shaded. While there have been some cel-shaded tv programs, the majority of works using it are videogames. CS in games is usually associated with optimistic or utopian fantasy worlds, the best use of its ability to handle bright, contrasting colours (such as in Jet Set Radio, or Sonic Shuffle). Paradoxically, CS also works well in some very violent and dark games, probably because its stylised nature means scenes that would have been censored if portrayed realistically can be shown uncensored- such as in MadWorld for the Wii, or Killer is Dead for the 360.
to make violent scenes less realistic. 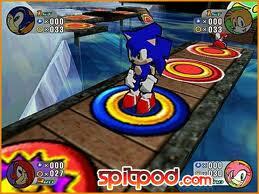 The first console game to use CS was Jet Set Radio, released for the Dreamcast in 1999. Arguably, Fear Effect (released in 2000) went into development first. However, although Fear Effect looks cel-shaded, it’s lighting system technically prevents it being truly cel-shaded. Also, many CS techniques were actually invented by JSR’s development team, so to me JSR wins. JSR was given the HD remake treatment and released on the Xbox Live Arcade in 2012, which is where I picked it up. While I’m not very good at the actual gameplay, so haven’t progressed very far, I really like the overall game environment, especially the music and graphics. It’s visually unique, and probably didn’t even need to be made HD in order to stand the test of time. Here are shots from the same level, in the original (bottom), and remake (top). After 13 years, there isn’t a dramatic difference between them: the colours in the HD remake have improved contrast and there is greater detail, but it’s still clear they are the same level, and the original game still looks quite good. I don’t need to say which is which. Non-photorealistic rendering methods like cel-shading are useful for retaining a game’s long-term playability (for those focused on graphical capability), as the game will take a lot longer to look dated.It is also useful for quirkier “art games”, which aim to create a unique universe for their characters (such as Okami, or Crackdown). Games using CS or pseudo-CS have increased in popularity in the last few years. My theory is that this rise could be connected to the increasing popularity of superheroes and superhero-related media. Cel-shading can represent cartoon or comic styles incredibly well, making it one of the best aesthetics for superhero media especially combined with the utopian/fantasy atmosphere I mentioned earlier. 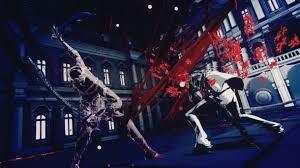 Cel-shading can also be used to port a usually-realistic game to a lower-powered system without sacrificing major parts of the game. Rockstar did this in GTA: Chinatown Wars for the Nintendo DS, while Activision did this for the early Tony Hawk games. I think that the proliferation of mid-size gaming devices such as 5-inch phones and 7-inch tablets, coupled with a growing interest in porting and re-releasing older major games, may increase the popularity of celd-shaded ports. 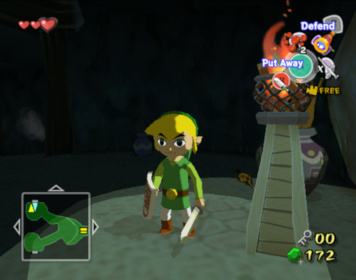 Some of the media attention for CS may also be from the controversy generated by The Legend of Zelda: The Wind Waker. TWW is visually interesting, as it combines cel-shaded characters and foreground elements with dynamic lighting and depth of field effects in the background. While technically impressive, many people felt it was too cartoonish and childlike, so the next Zelda game, Twilight Princess, returned to a more realistic style. Nintendo didn’t fare very well with their cel-shading, unlike Gearbox Software’s Borderlands series- one example of a pseudo-CS game being both critically and commercially successful. 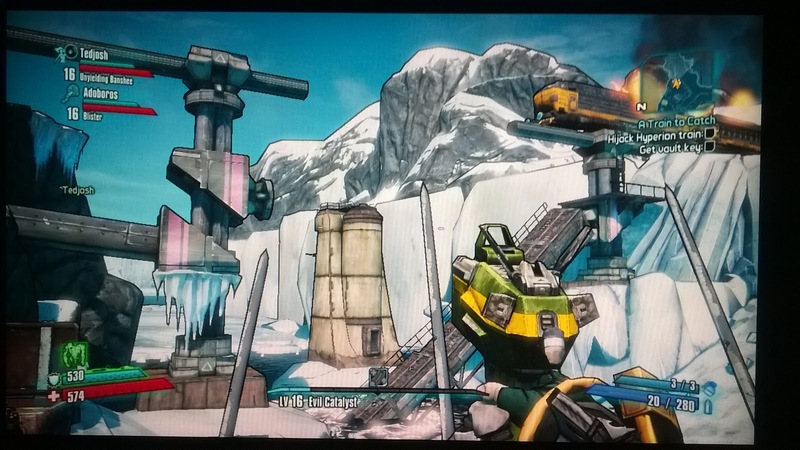 The Borderlands games have taken advantage of the increases in computing power since CS was first developed, using this power to create a hybrid design- a realistically-shaded 3D engine overlaid with thicker character and object outlines (to create a comic-book effect) and CS-style textures. This hybrid design means the game is running two lighting style and engines at once, looking graphically and technically impressive at the cost of high GPU and CPU load. For the curious, or those with computers that struggle processing B2’s graphics in high detail, a minor modification to the games’ .ini files will remove the CS overlay, making it look more realistic while decreasing the required processing power. (For information on this process, look here). You can see why I find cel-shading so interesting now. I think this is partly because I find games using brightly-coloured landscapes and maps easier to navigate, so can normally remember my way around a cel-shaded game but get lost in realistically-shaded games; and partly because I tend to like quirky games with funny atmospheres, which is something cel-shading does really well. However, because cel-shading, while increasingly popular, is still only used in a small percentage of games, I’ve never really played many games using it. And after I’ve finished those, I’ll be looking out for others- I’m really interested in playing Killer Is Dead, and Catherine is supposed to be an unusual game. If you know any I might find entertaining, please let me know. P.S. While I was writing this post, I discovered this trailer on YouTube for a 1997 Goosebumps PC game, which does appear to be cel-shaded. Without more information on the engine used, I’m giving it the benefit of the doubt for now and proclaiming it to be the first CS game.